What does "Trim" (off the weight, not the x-mas tree), Taxes (they're certain), Textbooks (school is back in session), and Travel (everyone needs a vacation) have in common? As a CJPub, you should know they are some of the highest performing advertiser categories at the start of a new year and throughout Q1. Tee up 2013, tap these top brands and get off on the right foot in January. If you're not already working with advertisers in these categories, click the following links to explore Q1 top performing categories in CJ Account Manager Trim (Weight Loss), Taxes, Textbooks, and Travel. Happy New Year and may all your affiliate dreams come true in 2013! 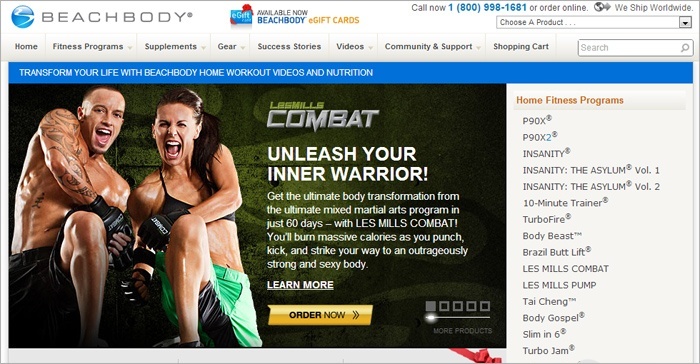 Beachbody.com is the creator of the nation's most popular in-home fitness and weight loss solutions, including, P90X, P90X2 & P90X Plus, Power 90, INSANITY, Les Mills PUMP and many more programs. They are a recognized brand and utilize tested banners and text links to ensure you receive the best! Sign up for the H&R Block affiliate program and get your share of Q1's biggest category promotion. Publishers just getting started with tax promotions, we provide helpful tips so you can make the most of your program. Everyone has to do taxes, you may as well get your cut – with the H&R Block affiliate program. With TurboTax, your visitors get the biggest tax refund guaranteed, with 100% accurate calculations, free help, and step by step guidance from the best-selling tax software brand year-after-year. Join their affiliate program and see the earning power of tax season! CJ Network has many advertisers offering text book sales and services for affiliates, but BookRenter.com is the original online textbook rental service. Your website visitors who are looking for textbooks enjoy a simple book rental process, save up to 80% and never pay for standard shipping – both ways! Travelocity is a 'one-stop shop' for customers looking to purchase travel. When you become a Travelocity Affiliate with CJ, every time you refer your website visitors to us, you can earn a commission whenever they book travel on Travelocity. SPECIAL OFFER: Join today and drive 3 bookings within 30 days for $20 bonus!